Looking for snow removal in Chalfont? Bolton Lawn Care has been a source for reliable snow removal. We service a number of clients in Chalfont, New Britain, and Warrington. When Old Man Winter decides to snow us in for the day, we are the most trusted company to call for snow removal. Sign up below to join our client list and become a member of our exclusive snow removal list. Space is limited. Is your driveway seal coated? Most homeowners will hire a paving company to seal cote their asphalt driveway in the summer time before it starts to snow. There are a lot of benefits to seal coating a driveway. Seal coating a driveway or parking lot is a lot like how you paint the outside of your home; the specialized paint will prevent weather from causing deterioration to wood. Asphalt develops small cracks over the years. Unfortunately, these large cracks can develop into large cracks and cause serious damage. By seal coating your driveway, you will be sealing these small cracks in order to prevent water from seeping into the base material, expanding the cracks on your driveway. Not only does seal coating help increase the life of your driveway, it also looks visually appealing. A fresh seal coat gives your driveway the dark black appearance of brand new asphalt. For homeowners looking to sell their home, adding a fresh seal coat can increase your home’s value. A new seal coat will add to the resilience of your asphalt driveway. This in turn will help hide small cracks and patches. You may have noticed that when you are driving on freshly paved roads or highways that the lines also looks like they have been painted. Sometimes this may be the case, but more often than not the yellow or white lines are being highlighted by the dark seal coating. A seal coated driveway during the rain will also make your asphalt driveway cleaner. Dirt and debris will wash away easier off a freshly coated driveway. The sun’s effect on asphalt is also something to consider. If your driveway receives direct sunlight, a seal coating will protect the asphalt from the sun’s UV rays. When a driveway gets too hot, the heat causes the small cracks in it to expand. Add water to this mix, and eventually your driveway will be completely covered in small cracks. It’s important to recognize the benefits of seal coating for your driveway’s longevity. Filling in these small cracks with a seal coat will ensure that small cracks do not become big problems. Visit www.boltonlawncarellc.com for more information about our snow removal service. We’d be happy to add you to our client list. Tired of dealing with your lawn this year? Or perhaps you are tired of landscaping contractors charging you an arm and a leg for average work. Well, your quest is at an end. 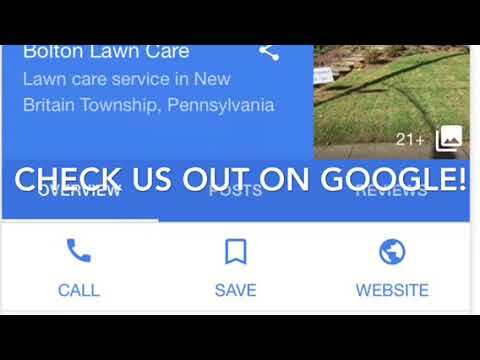 Bolton Lawn Care is here to solve your concerns. If you want your property to be distinct this summer and be the envy of your area, talk to us for a free assessment. If your turf is damaged from not raking your leaves this past season, we additionally do leaf removal. Have weeds and other invasive seedlings consumed your flower beds? We can take care of that with some black tarp weed control and mulch. At Bolton Lawn Care, our customers are the number one priority. As a result of our concentration on our customer's satisfaction, we've experienced a steady growth in referrals. If you want to keep your property healthy and green, weekly lawn care is needed. Our lawn mowing cost is extremely competitive, and we will certainly match almost all competitors. Offering lawn service at a competitive rate, with premium quality, is what differentiates ourselves from all the landscaping companies in the local area. If you want to avoid the big lawn care companies who don't have proper quality control mechanisms in place, Bolton Lawn Care is your solution. In addition to lawn mowing, our service incorporates weed wacking, edging, and we finalize each cut by blowing down the driveway and sidewalks. Our motto is to care for every client's home as though it were our own home. By having this mindset, we regularly aim to go above and beyond. Bolton Lawn Care furthermore offers landscaping services along with our lawn care service. We do mulching, planting, pruning, weeding and more. Having a wonderful yard is half the battle with making your home look great. We will advise only the greatest landscaping recommendations, while also considering your budget. An often overlooked part of general lawn maintenance is raking leaves. Trees can be terrific for adding value to your property, but also will be a total mess in the fall. We have seen it in the past, neighbors of our customers do not collect their leaves in the fall, let the leaves to sit all winter under snow and ice, and wonder why their lawn looks terrible in the springtime. When leaves amass on top of your grass, the lawn can not breathe! Contact us for a leaf removal quote. If you're reading through this and it is spring time, call us soon before the bacteria and pests begin to swarm your grass. For many years, we've found time and time again that the greatest way to keep your flower beds in good shape, and protected from weeds is through black tarps and mulching. Good quality mulch and weed tarps are quite durable, and are able to last for several years without having to be replaced. Black tarps were in the beginning used in all natural gardening in Europe, but have made their way into United States landscaping. Black tarps not only keep weeds suppressed, they also help in plant growth by holding heat in. Some experts initially hypothesized that the added heat could kill the soil's healthy microorganisms and nutrient levels, but this has been shown to be untrue. Tarps, when placed the right way, will allow shrubs and flowers to grow more robust, and will not permit weeds to germinate. If the black tarp somehow allows a few straggler weeds to enter it's surface, the mulch functions as a powerful second layer of defense. In addition to stopping weeds from germinating, mulch is full of essential nutrients which will help balance your soil's PH levels. Compost filled with weed seeds is typical in low cost mulch companies. Often times paying a little extra may save you from purchasing mulch full of weed seeds. If you are sick and tired of having to weed your flower beds, we are here to help. Chemicals like oil and gasoline can also create issues with your asphalt driveway. By getting your asphalt seal coated, you are reducing the amount of exposure to oxygen, and the depth as to which chemicals can seep into your driveway. A chemical like gasoline, combined with sunlight and rain will destroy the asphalt on your property. Repairing or replacing a broken or damaged asphalt driveway will cost you a lot of money. When we compare this to the minuscule cost of seal coating your driveway, the difference is huge. Seal coating your driveway can cost you pennies per square foot, while an entire driveway repair can cost a couple thousand dollars. The price of asphalt is directly correlated with the price of crude oil. As of now, the price of crude oil has been relatively low. When prices for oil rise, the price of asphalt rises along with it. Asphalt is the binder used to make asphalt concrete. 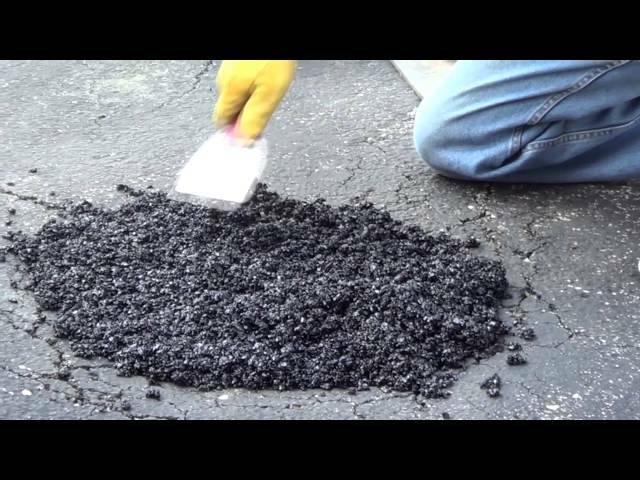 Asphalt concrete is what is used for seal coating, roofing repairs, highways and roads. The reason asphalt prices rise with oil prices is because resid oil is blended with additional ingredients to make asphalt. Basically the waste product from oil is mixed with additives to make asphalt. An alternatives to oil resid is fuel oil, but this is usually not cheaper to make than oil. From 2004 to 2014, for every 10 percent increase in oil prices, asphalt prices also rose 7 percent. Now is the perfect time to fix your damaged asphalt driveway. Experts predict that in 2018, oil prices will continue to rise after hitting near record lows in 2016. Since our business is snow removal, the quality of your driveway is of importance to us. Broken or cracked driveways are not only harder to plow, they also stick to the driveway more. When snow is stuck to the driveway, cold temperatures will freeze the snow into asphalt cracks and expand your cracks even greater. Before your entire driveway is a broken and cracked mess, have your driveway seal coated. The video below does an excellent job displaying how to fix a pothole or crack in your driveway without calling a professional. If you rather not spend your time fixing it yourself, call us and we’ll fix your potholes or cracks. The best time to do pothole and driveway asphalt repair is during the spring and fall when the temperatures are around 60 degrees. If the weather is too cold, the sealant has a hard time blending with the asphalt on your driveway. When the temperature is too hot, the asphalt expands and forms an uneven asphalt repair. You can make a permanent pothole repair in your driveway with a pothole patch. I've had great results from Henry products. I like how easy this Henry pothole patch is to work with. I've used bagged pothole patch that came out in chucks and was difficult to spread. You can fill holes in 2" layers, tamping each 2" layer before applying more product. You can spread the pothole patch with a trowel, rake or shove. You want to fill the hole 1 1/2" above the finished surface before tamping. ​Taking care of your driveway not only improves the look of your home, but adds value to it. We recommend having your driveway seal coated if you have never had it done before. If you are a new homeowner, contact the previous owners to see if they have had the driveway properly seal coated. Having a seal coated driveway will make snow removal easier this winter for yourself. For automatic snow removal this winter, visit our page, or send us an email below.